We are excited to welcome new employee Veronica Greiner to our team. Veronica is a new Staff Accountant at our Manchester office. 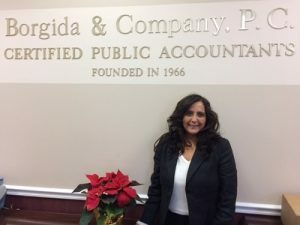 She has over 20 years of experience in banking, client relations, small business and personal taxes. Her enthusiasm and friendliness are a great compliment to our team. Her hobbies include taking walks, spinning and cooking. She resides in South Windsor with her husband and three sons.